The James Brown Family Historical Tours run once a week on Saturdays from 11 a.m. until 12:45 p.m. The tour begins at the Augusta Museum of History. 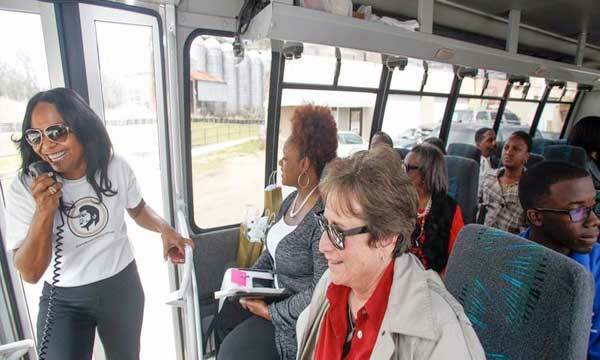 Along with a guide, the bus tour visit sites that are significant to the history of James Brown growing up and living in Augusta. 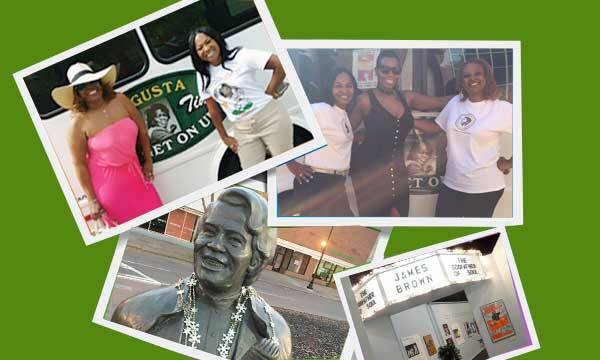 Highlights include such sites as the elementary school that James Brown attended, the home where he lived as a child, businesses he owned, The James Brown Statue, The James Brown Arena and much more! Patrons also get the opportunity to see the largest exhibit of his memorabilia at The Augusta Museum of History following the tour. The tour begins at the Augusta Museum of History. Along with a guide. Find out how to purchase tickets, tour days and times. Visit our photo album to see how the JB Tour experiences by others are expressed and that moment caputured in a single frame. A representative from the JBFHT will contact you about your request.